Premium cookies, cakes, puppuccino, ice cream, jerky & other gourmet treats for dogs served out of our mobile treat cart! Cupcakes and gourmet treats for dogs. 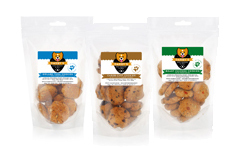 Premium Freeze Dried treats, all natural, Australian made. 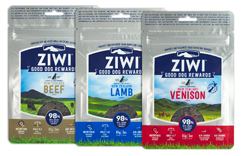 Gently air-dried, grain-free good dog rewards for training and treats. Made with 96% real meat, organs, bone, and seafood.